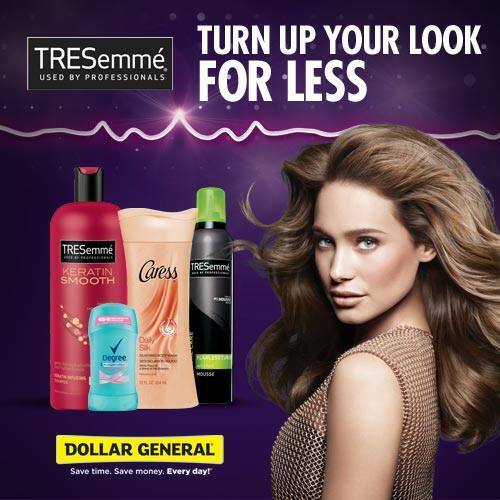 Home > 2014 > September > 25 > Turn Up Your Look for less with Tresemmé® and Dollar General. You don’t need to spend like a celebrity to look like one. Thanks to Tresemmé® and Dollar General, you can get all of the looks you want for less. Amp up your own unique style and beauty, while keeping within budget.